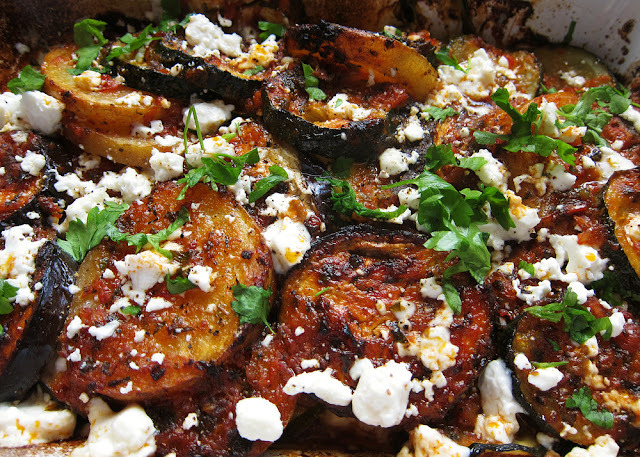 Briam is a traditional Greek recipe where you oven roast vegetables coated with a savoury tomato sauce. There are, as you can imagine, dozens of different ways to cook this dish so this is by no means an authentic recipe that I made. You can make it with any vegetables that are in season and eat it hot or cold. The secret of the dish is the olive oil (and there is a lot of it) where you bake most of the moisture out of the vegetables replacing it with olive oil. Cut the vegetables (potatoes, courgettes, green pepper and aubergine) to approx. 1 cm thick and layer in a baking dish. To make the sauce add fried onions and garlic to 100ml of olive oil and the half tin of tomatoes and puree. 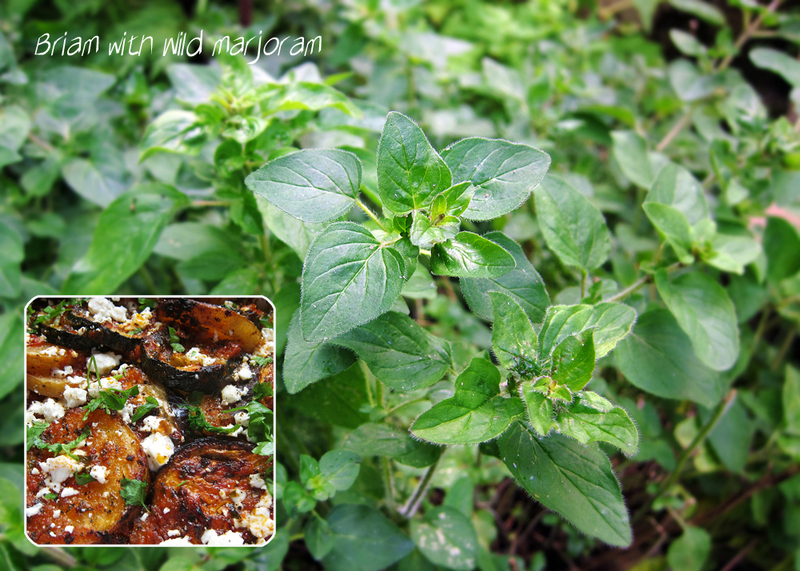 Season the sauce and add the chopped wild marjoram. Pour the sauce over the vegtables and bake (200 C) covered with tin foil for approx 45 minutes until the vegetables are cooked. Remove the tin foil and bake for another 30 mins. Finish with some chopped wild mint and feta cheese.